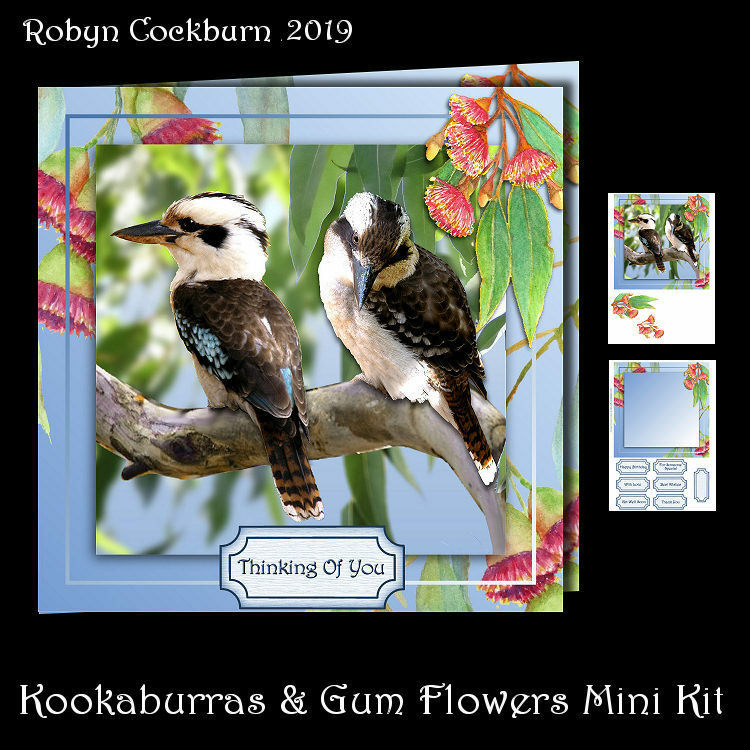 A pair of gorgeous kookaburras on a gum tree background with red gum flowers and leaves to decoupage. Greeting labels included to suit a large range of occasions. Card is 7 inches (18cm) square.